The journey through the Kingdom of Redsands continues. Marquiese is a young lion, proud of his duty, but his future is being challenged by a devious enemy. He knows that he survived his stay in Mystillion only by the skill of his friend, the Bandit Hunter, Marilana. He left the Southern Tip and his friends in order to return home to his true life in the royal city, Maefair. Now he must confront his enemies and counter their carefully hidden plans. By the time Marquiese contacts his friends, Marilana’s reputation and Earek’s social standing have taken some drastic turns. Marilana and Earek are willing to stay true to their friendship, but their own futures are far from secure. Can Marilana and Earek come to terms with Marquiese’s secret identity? Can they overcome Marquiese’s enemies with their friendships intact? What future will Marilana, Marquiese, and Earek choose: friendship or duty? Come, return to the Kingdom of Redsands and follow Marilana and Marquiese through the next stage of their adventures. 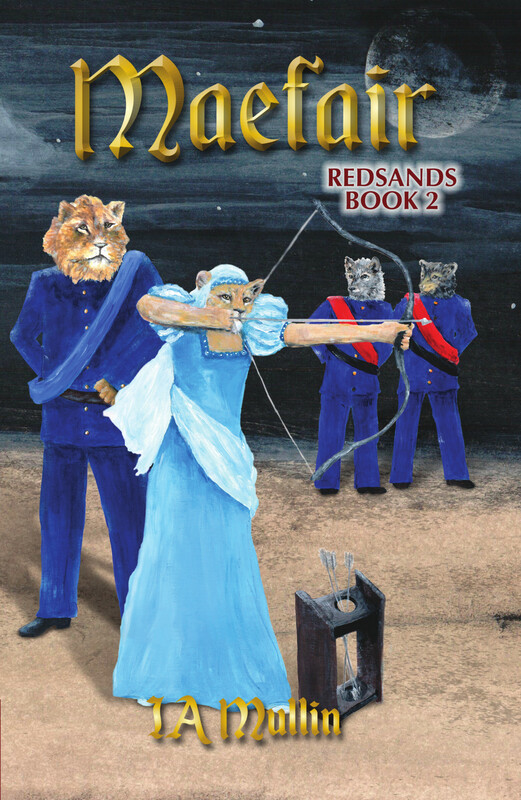 Learn of their fiendish enemy in Maefair, Redsands Book 2.